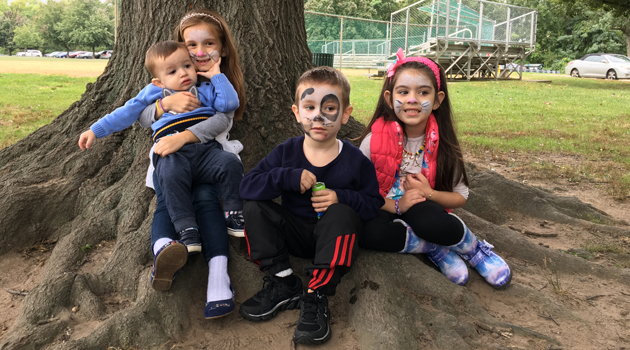 There were clouds in the sky but many smiles on everyone’s faces on Sunday, October 2nd as the Bergen staff and families enjoyed the BASCS/PTO Family picnic held at Saddle Brook Otto C. Pehle Park in Saddle Brook. Children enjoyed sliding down the bounce house, stopping by the face painting table, and enjoying field day games with their family and friends. While having fun, everyone made sure to stop by the beautiful barbecue display that Maschios provided. Lunch wouldn’t be complete without visiting the dessert table that was filled with yummy treats. Thank you to all of our families for providing so many delicious desserts for all to enjoy. A great time was had by all!